Whether you are in the final year of graduation or multiple years old in job, the why questions related to MBA, such as Why MBA? Why invest so much money in a course that seems to be losing its value? Why full time MBA? Etc. are a part of the thinking process before someone enrolls into a professional post graduate degree program. In between all the confusion, the factor to be noted is that MBA is more than just three letters after your name, it’s the difference between a job and a career. The degree, even today, creates a dissimilarity in the people who are graduates and those who are a step more than that. The variance is most visible in the corporate world in terms of designation, expectations etc. But the losing value of MBA can also not be ignored. The popular post graduate program is losing its significance because of uncertainty of the Returns on the high investment made in terms of fees and a number of MBA colleges in every nook and corner, providing a promise of 100% placement. So what is the option, with corporate demanding an MBA degree on one side and with the program losing its essence on the other? 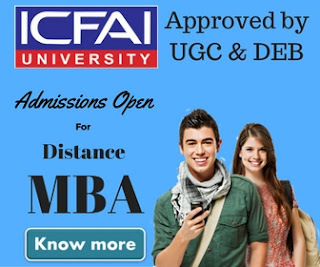 Distance MBA provides an opportunity to graduates and professionals to become Masters in their field, with an added time for the practical application. The outcome however depends on how much you give to it. In spite of how lightly people take the distance program, to make a career at the back of it requires hours of hard work and dedication. The amount of work that goes into a distance program usually exceeds that of a regular course, the reason is increased distraction and problem in making priorities. Let’s look at some Whys’ incorporated in the idea itself of Distance MBA. Why is full time MBA losing its value? From the corporate mind? Companies are starting to identify the strength of mixing career with training, and are therefore including Distance Learning MBAs in the training package. This is believed to help in retaining the staff. For example KPMG presently has around 40 to 50 employees enrolled in the Distance Learning MBA program meant for financial professionals in the Manchester Business School. 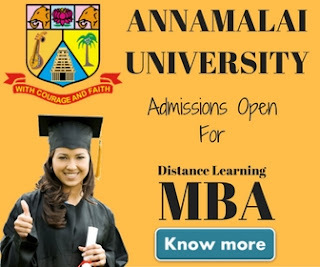 It is believed that students who excel in a distance learning MBA program have the qualities employers generally look for, like time management, team work in both technology enabled and face-to-face mode, organizational ability, skill to apply management teachings to real problems, dedication, and self-motivation. Why choose distance MBA over a full time program? A professional distance learning degree offers a lot of opportunity to put what’s studied into their practical application, and gives time to see where you want to go in life down the line. It is a richer experience as compared to a full time degree. Along with that, such programs gives you the option to carry on with your job, while applying the learned professional theories in the daily work. Tip: Ask your company about the executive MBA program before you apply in a Distance Learning course. Why not opt for just another Distance Program? Face to Face Element: The face to face session gives place to discussions and arguments. Along with that, even distance MBA students need human interaction. Strong Career network: The school candidates are applying to, need to have a strongly linked career network since the first class. Accreditation:The laws of selecting the school are similar to selecting a full time MBA course, it ultimately sieves down at accreditation. In India, the UGC notification for year 2014-15, said that educational institutes offering distance learning program in a state other than their registered state are considered unaffiliated and the degree will hold no value. This rule applies for all Distance Programs in India. Comparison with full time program:See that the program you are planning to enroll in, is offered in a full time mode by other reputed universities. Also make sure the curriculum is similar to that of a regular MBA program. Assess the expectation:Before you apply, see if you can handle the expectations in the sense of number of hours of learning the program demands per week. Measure it with your daily schedule and then make the decision. Active placement cell:The institution should have an active placement cell and a number of companies partnered with the university. This will increase your chances of getting selected for a different job, in a new role. Why put in extra efforts? Corporate life will be like the program, a blend of individual and team work, therefore good soft skills; both oral and written, are necessary to perform well in career. These skills can’t be practiced while studying at home, they need a dedicated effort from the students’ side. The mentioned 4 Whys should be enough to quench your thirst of evaluating the importance of a distance MBA program. Remember that there is no alternate to hard work, even if you are doing a Distance program, be ready for putting in tons of dedicated time and hard work.